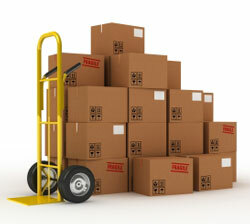 If you’re searching for safe storage near Alpharetta, GA, look no further than Bulldog Movers. We have a large facility just down the road in Atlanta that offers residents throughout the area and beyond with prime storage space at a fair, competitive price. Whether you need space to store your belongings for just a few weeks or many months, our facility is sure to provide you with what you need. In addition to offering storage space near Alpharetta, Bulldog Movers offers a plethora of professional residential and commercial moving and relocation services. We can provide moving services throughout Metro Atlanta, across state lines, and even internationally. And because we have won the Consumers’ Choice Award for nine consecutive years and hold an A+ rating with the Better Business Bureau, you can trust that Bulldog will provide the exceptional move and offer unbeatable customer service that other Alpharetta moving companies simply cannot. To learn more about the storage space near Alpharetta that Bulldog Movers has available, please call or e-mail us today.